The ‘Maari’ sequel also stars Sai Pallavi, Tovino Thomas and Varalaxmi Sarathkumar. 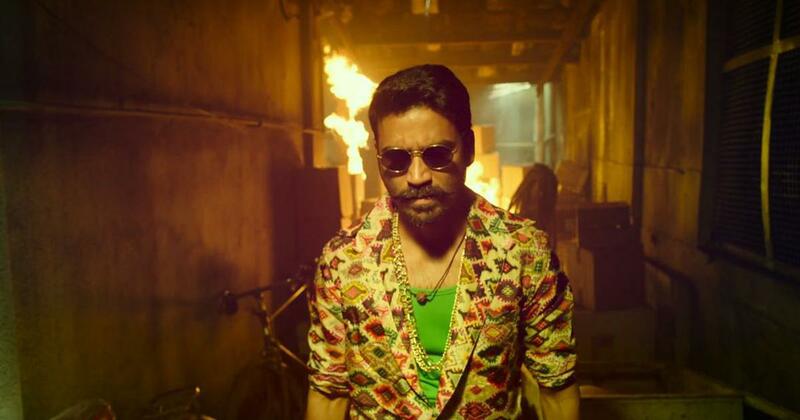 Dhanush returns as North Chennai’s notorious hoodlum in Maari 2, Balaji Mohan’s sequel to his 2015 Tamil action-comedy Maari. The film’s trailer was released on Wednesday. In the sequel, Dhanush’s Maari, who lords over his locality’s underworld, meets his match: Tovino Thomas’s antagonist. “I am a very, very bad man,” Thomas’s character tells Maari in the trailer. “If you are bad, I am your dad,” Maari retorts. Other additions to the sequel are Sai Pallavi’s Aanandhi, who plays Maari’s romantic interest, and Varalaxmi Sarathkumar, as a police officer. Robo Shankar and Kalloori Vinoth reprise their roles as Maari’s sidekicks. The film has music by Yuvan Shankar Raja and has been produced by Dhanush’s Wunderbar Films. Written by Mohan, Maari 2 will be released on December 21.